Welcome to GUILDWORKS outreach, iABRAHAM–and our creative cultural initiatives elHOMEbre and pRISEN. iABRAHAM programs harness the raw power of music’s universality, using our common musical bonds to catalyze deep and difficultly purchased faith for the homeless, addicted and those in prison. elHOMEbre and pRISEN share a core premise most agencies/organizations can’t fund and as often miss.Cultivating and feeding individuals’ hearts and inner Spiritual lives. America’s “golden door” harbors 24 million people (most Black and Hispanic) enslaved to addiction. One-percent will receive care at good treatment facilities. Our land of opportunity and prosperity shakes its New Colossus head and moves on, despite approaching a half-million homeless on the streets and in housing shelters; nearly two-thirds of these exiles are Hispanic and Black transients. Another third survive to feed illegal addictions and call Barios and Gangs home. Economically beleaguered and disproportionately at a deficit, our marginalized, poor communities need succor, and the gritty soulfood of spiritual sustenance. elHOMEbre and pRISEN programs convey contemporary holy culture across the Abrahamic faiths. Ethno-indigenous world-music beats and the revolutionary vehicles of Jewish HipHop, Gospel Rap and modern Muslim social-activist rappers are creating a new cadre of global-grind emCs and beatmakers contemporizing and widening the spiritual scope of HipHop and modern urban music. iAbraham urban outreach conjoins music and ministry placing them powerfully in service to reconciliation and restorative justice, repairing spiritual brokenness and witnessing redemption in God’s urban Garden. A virtual, web-based Bedouin metropolis with contemporary cultural caravans, ecumenist musicians and eclectic designers co-mingling with one an(other), iAbraham invites the disenfranchised through radical hospitality to give their lives into God’s graciousness. Because we know the least of these forlorn strangers are angels unaware. Homeless street survivors and fallen executives alike re-connect to the Divine by Jesus’ invitational witness to the Banquet table of fellowship and Grace. Through the sounds of holy-HipHop and Gospel rap’s 808-beats. Faith and flow from the old quarter to New Jerusalem’s Streets. Socially and spiritually conscious music compilations found in tangible alchemies of urban design, HipHop and indigenous soundscapes meeting spiritual poverty. Music tending to and enabling thousands of hearts and souls in reconnecting humanity through inspired, cross-faith contemporary urban culture. iABRAHAM elHOMEbre works to bring compassion and renewal to spiritual brokenness in our Urban poor communities–philanthropy in the language of the street where human endeavor and spiritual inspiration catalyze communities from being downtrodden, to becoming spiritually inspired, restored, reconnected to faith. Renewed in relationship to God. and striving to give contemporary voice to Abraham’s covenantal worldview of radical hospitality. Engaging musicians and designers, fine arts and ecumenist Interfaith architects, iAbraham creates revitalized urban realities for the poor and destitute by re-envisioning God’s word and work in the world. spanning the gamut of Abrahamic religions, iAbraham strives to create modern expressions of inner spiritual life across our Jewish, Christian and Islamic faiths. Digital media and technologies’ unparalleled access allows iAbraham to create and combine music and faith, design arts, film and video forging them into new forms for socially and spiritually restorative justice, paradigms for modern reconciliation, conduits for reconnection to life in the Spirit. 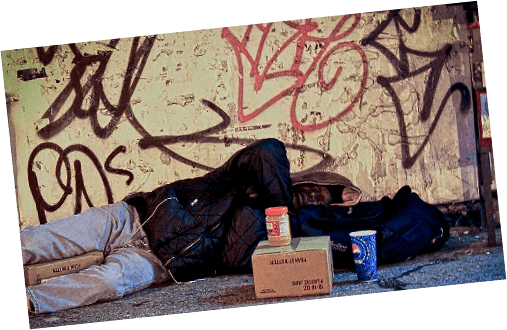 iAbraham urban outreach focuses on serving the least of these–our spiritually disenfranchised, downtrodden and dispossessed made in God’s image. iAbraham celebrates the City’s rough-edged creativity, engaging artistic innovation with raw results and cool concoctions. Hardknocx envoys from Manhattan to Mecca, hip purveyors and swag products–emCs from the hood spittin’ Godly rhymes for our streets’ spiritual good. Arabic rap or spiritually conscious spoken-word at the Mosque, Jewish jazz-rap at the Apollo in Harlem; Hebrew hipsters from the holy lands to beatmakers in Brooklyn. Christian Gospel-rap and holy-hiphop come together in iABRAHAM online bedouin bazaar, crossroads and center of common ground. iAbraham not-for-profit encourages Radical Hospitality, partnering with underground elements and cultural ambassadors, working to create something new of our cities’ birth, life and death. From our core identity as inheritors of Abraham’s legacy, we’re universal travelers at globally intersecting crossroads. iAbraham invites design in dialogue through urban music engaging the Abrahamic faiths toward repairing our broken and beautiful world.